Click Here to Locate Cheap and Reliable Boat Transporters! So you have just moved from Washington to Michigan and are worried about your “baby”, a beautiful 16’ sailboat? Well worry no more, because the boat hauling services available nationally throughout US can bring your darling to you in as beautiful a condition as you would; if you could but carry it yourself! 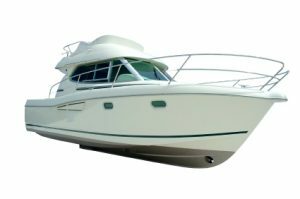 Boat transport services that operate in the US can efficiently transfer both power boats and yachts, even oversized ones, along with, of course, sailboats. Hydraulic boat transport trailers and specialty boat trailers ensure a smooth transfer and you don’t have to bother about scratches during loading and offloading even if there’s no travel-lift or crane on the spot! In case you want to transfer more than one boat, special racking and bunkings can be custom fitted for you. Boat hauling within the US has become as smooth as cream because of the profoundly professional attitude of the teams which operate these businesses. They understand the value of keeping their customers updated every step of the way, and that takes a huge load off the client’s mind. Not only that, they allow the clients to opt for boat transport without a trailer and in other cases to provide for trailers themselves for “hitch and pull” services. They also ensure peace of mind for their customers by offering to insure their precious boats with proper coverage for on the road time, the value of this cover can reach a million dollars. Their care of the boats often extends to underwater cleaning and detailing services. But the most important service these boat hauling companies provide is building customized “cradles” and shrink-wrapping the boats for international transfer. Even odd or oversized water transport is carefully packed for the journey to anywhere on earth. But even in case of domestic transfer they provide detailed instruction as to how the boats must be prepared so that it arrives in mint condition. The boat hauling firms ensure that the legal parameters for overhead clearance, that is 13’6’’, is clearly understood by their customers. Apart from that they advise the customers to stow away and tie down all loose boat gears and accessories, lock cabin doors and drain out all tanks for fuel and water. Care must be taken to drain out bilge water and all batteries should be disconnected. Anchors should also be removed from decks and a coat of linseed oil would be helpful in preventing the drying out of wooden boats. Canvas covers, dinghies, and external accessories like radars, propellers, antenna, and flag masts have to be dismantled and secured. Cradles, hatches, windows must be checked and taped as a precautionary measure. Windshields and other Plexiglas items have to removed and packed separately. Winches, rigging, and wind indicators mast be removed from the mast which is usually packed and placed separately in the place assigned for it in the carrier. All such directions by the boat transport firms must be followed to the last detail for the ships to be delivered in the condition they started their journey. It is helpful to note that the boat hauling companies cannot be held responsible for damage if their conditions are not met. To locate cheap boat shipping companies visit us now at CitizenShipper.com. Take a look around the CitizenShipper Budget Shipping Blog to learn about shipping a range of items. This entry was posted in Boat Shippping and tagged boat hauling, boat shipping, boat transportation companies. Bookmark the permalink. Are there any restriction on shipping waverunners? Hey Carmen. No restrictions on our site.